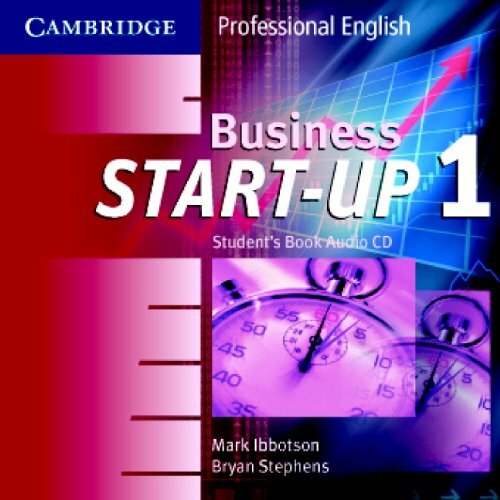 Business Start-up is a two-level course for beginners and false beginners who need English for their work. It takes low-level students up to the point where they can start preparing for the BEC Preliminary Examination (early B1 level) and provides a solid foundation for further learning. The Student's Books bring reality to even the most basic levels of language learning through the presentation of natural language in authentic contexts, a regular focus on real companies and products, and practice in the communication skills that professionals really need. Audio recordings for the rich listening material are available on separate CDs. The A5 size Workbooks come with a CD-ROM/Audio CD offering self-study grammar and vocabulary activities, as well as listening practice on the move. The Teacher's Books include full classroom notes, additional communicative practice activities and regular progress tests, plus an end of course/placement test. View More In Foreign Language Study & Reference.